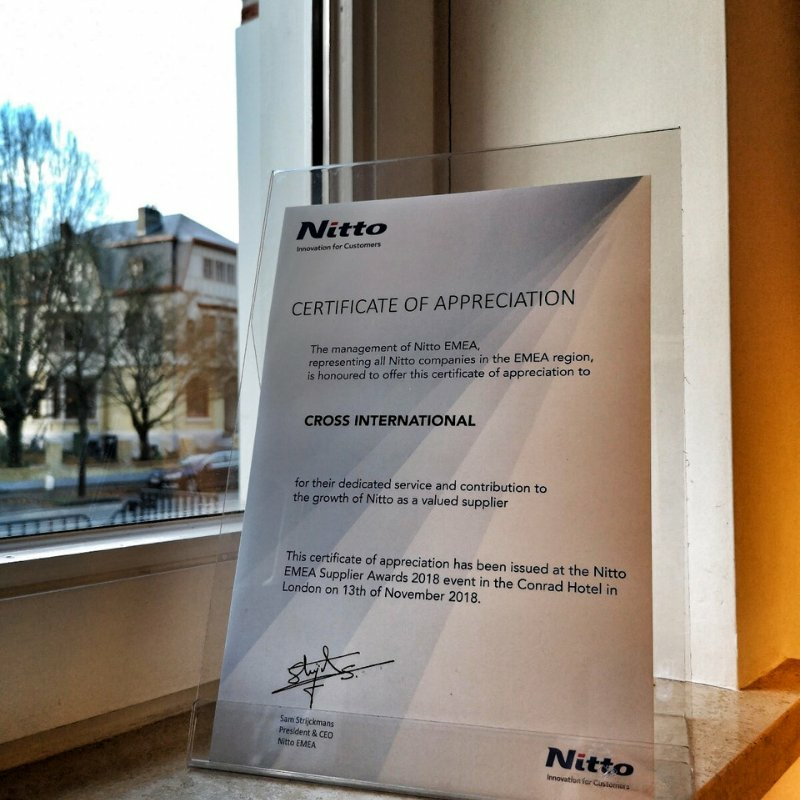 Recently we were nominated by our client Nitto for the award of best supplier and we are proud to inform you that we received the certificate of appreciation! Thank you @Nitto for having us. It was a great honour and pleasure to be part of this event.